The Telecom Regulatory Authority of India (TRAI) has upheld the basic principles of an open and free internet in its recommendations on net neutrality. Net neutrality means that telecom service providers must treat all internet traffic equally, without any regard to the type, origin or destination of the content or the means of its transmission. The Pradhan Mantri Sahaj Bijli Har Ghar Yojana (SAUBHAGYA) was launched by the Union Ministry of Power in Manipur. Around 1.75 lakh households of Manipur are proposed to be included under this scheme, which aims to achieve universal household electrification in all parts of the country by providing last mile electricity connectivity to all rural and urban households. Badri Narain Sharma was appointed as the Chairman of National Anti-Profiteering Authority (NAA) under the Goods and Services Tax regime by the Appointments Committee of the Cabinet. The Tourism and Hospitality Sector Skill Council and National Skill Development Corporation signed a tripartite MoU with the world’s leading community-driven hospitality company – Airbnb. It was signed to promote entrepreneurship under Government’s Skill India programme. The India Hypertension Management Initiative (IHMI) was launched by the Union Ministry of Health and Family Welfare (MoHFW) and the Indian Council of Medical Research (ICMR). It aims to reduce disability and death related to cardiovascular disease, the leading cause of death in India. Russia will assist India in setting up National Crisis Management Centre in the country to handle disaster and other emergency situations. 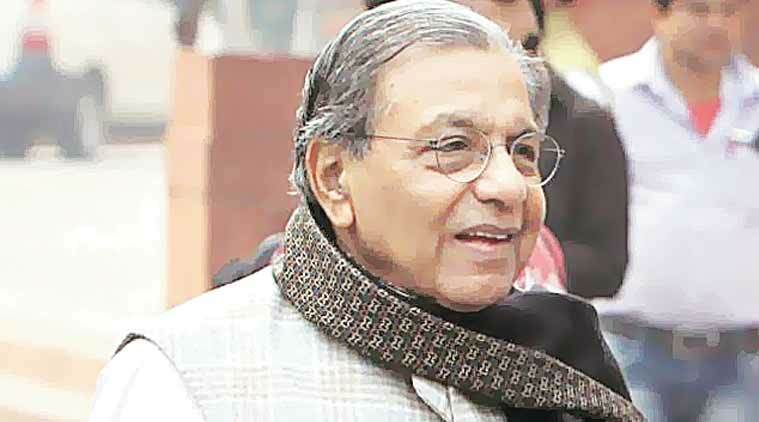 The 15th Finance Commission was constituted by the Union Government under the chairmanship of NK Singh. The Commission will make recommendations for five years commencing on 1st April 2020. Karen Pierce was appointed as the Ambassador from Britain to the United Nations with effect from January 2018. She succeeds Matthew Rycroft. Aung San Suu Kyi has been stripped of the Freedom of Oxford award over her inaction in the escalating Rohingya crisis.